What Keeps You From Reaching Your Potential? 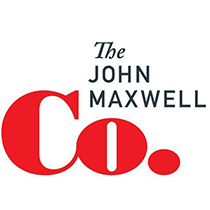 John Maxwell shares four things that might be keeping you from reaching your potential. Wilma Rudolph, the Olympic track and field champion of the 1960s, said, “Never underestimate the power of dreams and the influence of the human spirit. We are all the same in this notion: The potential for greatness lives within each of us.” Like Wilma, I believe that we all have potential. God has designed each of us to do something great. But why do so few people actually realize all of their success potential? It’s a question that I’ve asked often over the years. If success is a hot-air balloon, then what are the sandbags hanging off the basket, weighing us down and keeping us from rising to the height where we’re designed to fly? There are many variables that affect our ability to succeed in life. But I believe the following four things have a lot of power in our lives. If you can eliminate them, you give yourself a much better chance of achieving your goals. 1. Choices that limit you. Your choices do make you. But if you’ve made bad choices in the past that have kept you from reaching your potential, the good news is that every day holds new opportunity. You can make right choices today that move you in the right direction. Make the right decisions, no matter how hard. Then manage those decisions daily. I wrote about this in Today Matters. It can teach you how to manage your decisions after you make them. 2. Impatience with the process. “Are we there yet?” If you’ve been on a road trip with a child, you’ve probably heard this question more than once. That’s because it’s normal for a kid to be impatient. The problem occurs when we become adults, and we’re still unwilling to wait. Every good goal usually is more difficult, takes longer, and costs more than we anticipate. When we rush or abandon the process, we often keep ourselves from reaching our potential. Teddy Roosevelt said, “Nothing in the world is worth having or worth doing unless it means effort, pain, difficulty… I have never in my life envied a human being who led an easy life. I have envied a great many people who led difficult lives and led them well.” Expect the process of success to take time, and embrace it. You’ll free yourself to reach your potential. 3. Failure to pay the price. In Leadership Gold, I wrote that for everything you gain, you give up something. My father taught me when I was very young that in life you’re either paying or playing. If you play now, you’ll pay later. But if you choose to pay now, you’ll be able to play later. But no matter what, you always have to pay. Have you counted the cost of achieving your goals? Have you been paying the price, or did you hope you could avoid it? Charles Schwab said, “When a man has put a limit on what he will do, he has put a limit on what he can do.” We all need to be willing to do the work necessary to reach our potential. 4. Failure to think creatively when problems arise. Problems will arise. That’s a “when,” not an “if.” Like expecting a process to take time, anticipating problems allows you to prepare for them. Then you’re able to be proactive in your approach to them, instead of just reacting emotionally when they occur. In my organizations, I value problem-solving more than problem-spotting. I want team members to come to me with more than just an awareness of a problem. I ask them to come to me with at least three possible solutions. The discipline of looking for more than one solution makes them recognize options that they wouldn’t otherwise see. If you anticipate problems, you can prepare a reaction ahead of time. And even when they catch you by surprise, searching for more than one solution means you’ll think more strategically and react in a way that takes you closer to, not farther from, your goals. The “seed of greatness” exists in each of us. You are more likely to reach your potential if you keep your eyes on your goals and remember why you’re chasing them. The more valid reasons you can list for pursuing your dream, the greater the chance that you will achieve it. By keeping your eye on the prize, and eliminating the behaviors I’ve mentioned, you improve your odds of rising to the height where you were designed to fly.